Social Networking sites like Twitter, Facebook, LinkedIn, and Google+ have taken the world by storm. New social media sites such as SnapChat and other video sites such as YouTube and Vimeo are increasing their share of the branding space. More than a billion people interact daily through social networking sites. Your business can’t afford to be left behind. If you’ve been slow to embrace this marketing opportunity or are too busy to manage it effectively, you’re leaving revenues and relationships on the table. This is where Here 2 Help Services comes in. Social media lets you engage an audience, connect with new people and influence decision-makers. It’s a great way to build on-going relationships with your loyal customers and followers. 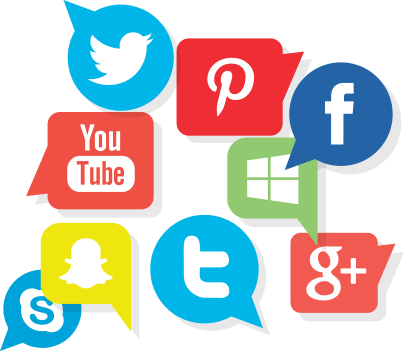 In addition, social networking sites are frequently used by prospective customers as the “first impression” of your business, so you want to be sure it’s a good one. Here 2 Help Services uses social media marketing as part of a larger branding strategy to get your company in front of people who need it.